No Klich no olkowski kind of disappointed. Has Rybus been playing at all this season? He had 11 starts in the beginning of the season but now he is not even on the bench. This is going to be our toughest match, those Monteniggers will play very rough and dirty, like Kazakhstan but with better players. Remember that our NT always had hard time to beat those kind of teams. Also players like Rybus and Krycho are very out of form. Where is Pazdan? Is he injured or out of form? Swosz wrote: Where is Pazdan? Is he injured or out of form? These are foreign league call ups. Pazdan plays for Legia. This team has no depth, form doesn't matter. This is who I would start for this game. Unless Milik picks up some kind of form in the next 2 weeks. I have very high hopes for Zielinski, could be our biggest player in the years to come. This will be a decisive game if we are to take top spot in this group. Every game is important and decisive but beating Montenegro in Montenegro will help our cause a lot for sure. It will just be 1 step closer to qualification. Montenegro full squad call ups for Polska game. As you guys can see this team only has a couple good players playing in the top teams (Basa, Savic, and Jovetic) that are notable threats. Vucinic still getting called up even though he is currently without a club but I guess thats expected as they are only a country with a population of 600,000. Selekcjoner reprezentacji CzarnogÃ³ry LjubiÅ¡a TumbakoviÄ‡ ogÅ‚osiÅ‚ kadrÄ™ na mecz eliminacji mistrzostw Å›wiata z PolskÄ… (26 marca, Podgorica). W kadrze znalazÅ‚ siÄ™ m.in. byÅ‚y pomocnik Jagiellonii BiaÅ‚ystok i GÃ³rnika ÅÄ™czna Damir KojaÅ¡eviÄ‡. Bramkarze: Mladen BoÅ¾oviÄ‡ (FK Zeta), Milan MijatoviÄ‡ (FK DeÄiÄ‡), Danijel PetkoviÄ‡ (MTK Budapeszt, WÄ™gry). ObroÅ„cy: Marko BaÅ¡a (LOSC Lille, Francja), Stefan SaviÄ‡ (Club AtlÃ©tico de Madrid, Hiszpania), Å½arko TomaÅ¡eviÄ‡ (KV Oostende, Belgia), Aleksandar Å ofranac (HNK Rijeka, Chorwacja), Elsad ZverotiÄ‡ (FC Sion, Szwajcaria), Risto RadunoviÄ‡ (FK BuduÄ‡nost), Filip StojkoviÄ‡ (TSV MÃ¼nchen von 1860, Niemcy), Adam MaruÅ¡iÄ‡ (KV Oostende, Belgia). Pomocnicy: Nikola VukÄeviÄ‡ (SC Braga, Portugalia), Marko BakiÄ‡ (AD AlcorcÃ³n, Hiszpania), Aleksandar Å Ä‡ekiÄ‡ (GenÃ§lerbirliÄŸi SK, Turcja), Marko VeÅ¡oviÄ‡ (HNK Rijeka, Chorwacja), Damir KojaÅ¡eviÄ‡ (FK Vardar, Macedonia), Vladimir JovoviÄ‡ (FK Spartak Subotica, Serbia), Marko JankoviÄ‡ (FK Partizan, Serbia), NebojÅ¡a KosoviÄ‡ (FK Partizan, Serbia), Mirko IvaniÄ‡ (BATE BorysÃ³w, BiaÅ‚oruÅ›). Napastnicy: Stevan JovetiÄ‡ (Sevilla FC, Hiszpania), Fatos BeÄ‡iraj (Dinamo Moskwa, Rosja), Stefan MugoÅ¡a (Karlsruher SC, Niemcy), Filip RaiÄeviÄ‡ (FC Bari 1908, WÅ‚ochy), Luka ÄorÄ‘eviÄ‡ (Zienit Sankt Petersburg, Rosja), Mirko VuÄiniÄ‡ (brak klubu). 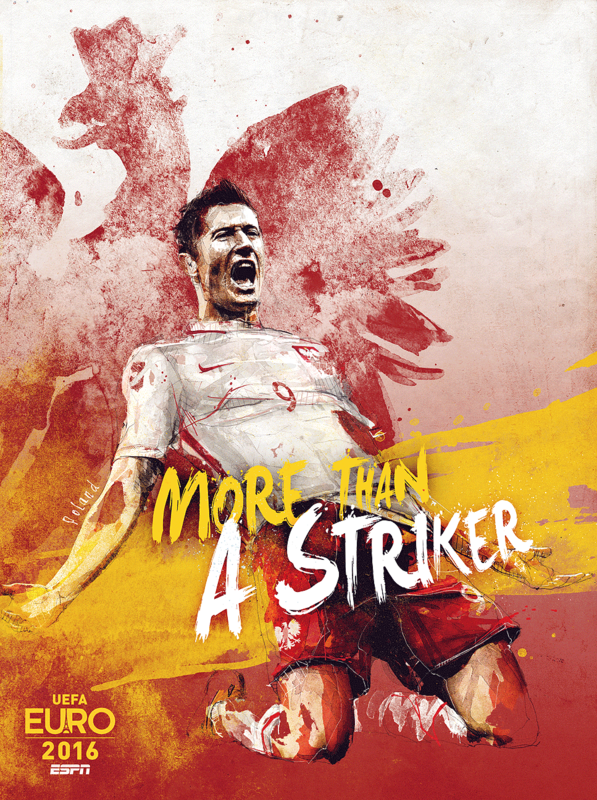 Based on Nawalka's call-ups, I think he is expecting a ugly and grueling game vs Montenegro. It will be interesting to see whether he goes with Teodorczyk up front with Lewy or put an extra CM (Linetty) in midfield. I doubt Milik will even play in this game to be honest. Blaszczykowski is also doubtful as a result of back pains. However, I fully expect Nawalka to play Krychowiak as he is perfect for this type of game despite his lack of playing time at PSG. *Chris* wrote: Based on Nawalka's call-ups, I think he is expecting a ugly and grueling game vs Montenegro. It will be interesting to see whether he goes with Teodorczyk up front with Lewy or put an extra CM (Linetty) in midfield. I doubt Milik will even play in this game to be honest. Blaszczykowski is also doubtful as a result of back pains. However, I fully expect Nawalka to play Krychowiak as he is perfect for this type of game despite his lack of playing time at PSG. Would love to see Teodorchyk start ...attack them quickly and get the lead . Taking the crowd out of the match would be nice early. Game is on sports net world for those in Canada.